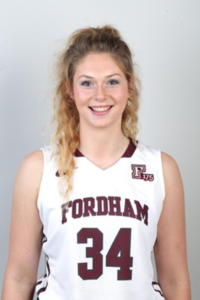 Mainland Eagles Alumni Mary Goulding is currently a junior playing at Fordham University in New York. Originally from Rangiora where she attended Rangiora High School she is a real success story from North Canterbury and the Eagles program. 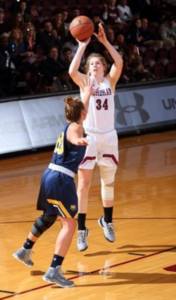 In the 2017/18 season Mary has averaged an impressive 8.7 points, 6.2 rebounds and 2.5 assists a game. 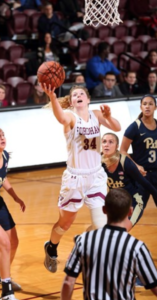 Recently we caught up with Mary about her pathway from Rangiora High School to Fordham University. She also had plenty of advice to young up and coming players. Whats been your pathway from Rangiora to New York? Growing up I got my feet wet in many sports but basketball held a special place in my heart. I loved being part of a team and I loved the thrill the game generated. My ultimate dream was to play in the states but, for me it was just that: a dream. I played a variety of sports and I never thought I could actually go and play basketball in the states. I finished year 13 and was accepted into my desired field of study at Otago university when Mark and Caleb approached me and turned my dream into a reality. Im in my junior year in the US, and am now co-captaining an incredible team at a division 1 university in New York. How did the Mainland Eagles program help you achieve your goals? I would never have got here without their help and without their preparation. Mark has a great program for aspiring ballers. What is imperative in preparing for college basketball is trust in Mark and his program, and the willingness to put in the hard work. It isn’t easy but it is totally worth it. Mark assimilates the intensity of the training’s in America. A lot of what he teaches is an echo of what I hear on a daily basis. He develops you as a player and most importantly, a coachable player. 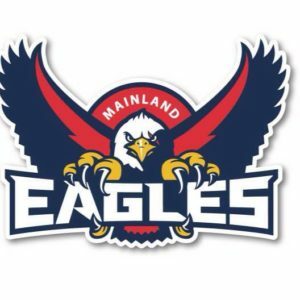 Whats your biggest advice to up and coming Mainland Eagles players? Become a “learn-it-all” not a “know-it-all” ~Kevin Eastmond. It is a huge jump from High school to college in America, it is hard and it is different (very “American”) but, ultimately it’s down to whether you want to work for your dream. It’s a once in a lifetime opportunity and one that I’ll never forget. What would you say to the up and coming girls aspiring to play college basketball? NZ girls have the talent and the potential to come to America and play and I encourage them full heartedly. Not only do you play the sport you love but you learn valuable life lessons and gain a free education. I want this for every girl who has a passion for basketball and is willing to work hard and be dedicated. 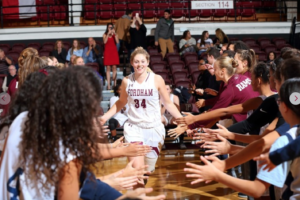 Mary and the Fordham womens team finished 21-8 and 3rd in the A-10 conference play. They now start the A-10 tournament today against Rhode island University. 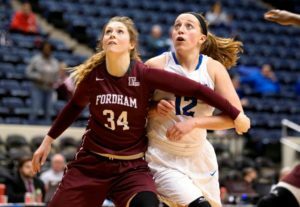 Last time the two meet Fordham came out on top 76-64. Mary added 12 points and 4 rebounds in the game. Good luck to Mary and the team pushing for a spot in the NCAA tournament.